Did you also know that the feed-in tariff is structured so that later adopters of these fantastic technologies will receive much smaller incentives as solar panels become popular? The fact is that homes across the world are all experiencing higher energy costs, with the United Kingdom (being at the end of the supply chain) feeling the worst of those rises. With the UK and Europe depend more and more on Russian supplies, predictions by all six of the big major energy companies are not good for the British consumer. Although this all sounds like more bad news, by reading this article, you are, in fact, one of the lucky ones. You now can shield your home and family from this disturbing trend. You are becoming energy savvy and could have the ability to get your foot in the door first while this unique window of opportunity is available. Governments across the world are now implementing feed-in tariff schemes to try to reduce our dependence on other increasingly unreliable energy supplies. This project will start an energy revolution which will see a local generation of energy through microgeneration technologies. The world is changing, and the lucky pioneers, who adopt not only solar panels but large-scale wind turbines and hydroelectricity, will benefit the most from the feed-in tariff scheme. At present, the tariffs are available at their maximum rate of 15.44 pence per kWh to those who generate power through PV solar panels. This rate is payable, unbelievably, even if you use the power yourself, for a guaranteed 20 years. An extra 3 pence per kWh is added to this price if the power is unused and exports to the National Grid. There is also a feed-in tariff scheme, called the Renewable Heat Incentive, available for solar heating panels, at a maximum rate of 8.5 pence per kWh for a guaranteed 20 years. Solar heating saves on energy which would typically take from the National Grid. Both incentive schemes are tax-free and index-linked, giving you peace of mind and an investment opportunity which is better and safer than any bank or investment company can offer. The truth is that the scheme is designed to kick-start a new microgeneration economy. This situation means that once the technology becomes a favorite, which is already beginning to happen, the financial rewards or incentives will gradually reduce for newer applicants over the coming years. For example, the current 15.44 pence per kWh rate is expected to be reduced to 34.1 pence per kWh in April 2013. The reduction will apply to applicants after this date, although if everyone suddenly jumped on the bandwagon at the same time before then, this period may come forward. As you can see, time is the issue here. Later applicants will get less than pioneers. Stuart Lovatt, the founder of Heat my Home adds, “Another issue which has recently come to light, is the adoption of the feed-in tariff scheme by the Chinese. The price of PV solar panels has been gradually coming down over the last two years. However, if China’s tariff scheme becomes popular, then the global price of Photovoltaic panels will rise because of China’s high demand”. This scheme is a window of opportunity which will only be open to a limited amount of homes. 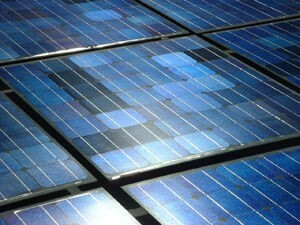 Claim the benefits of adopting solar panels before your neighbours.